Perfect for an occasion or event of any size. 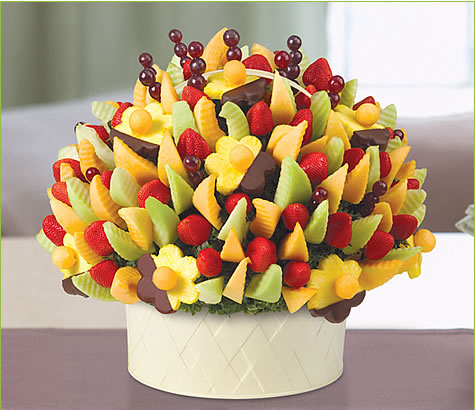 The Delicious Party™ is a beautiful display of festive fruits including chocolate dipped pineapple daisies, strawberries, grapes, cantaloupe and honeydew. Basket may vary.